Dr. Dannaker is an expert in PDT and has used this modality for well over a decade. It will reduce sun damage and improve the skin's appearance. Using LED, low level laser light, heat, conventional lasers and other light sources, he has refined the procedure well beyond the conventional. 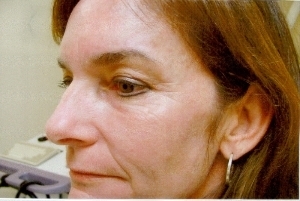 Not only can the usual signs of sun damage be improved such as blotchy pigmentation, redness and precancerous changes but the overall appearance of the skin can be rejuvenated utilizing photo-dynamic therapy. Inconvenience time is typically 3-5 days, during which you will experience a mild to moderate sunburn reaction. Dr. Dannaker pioneered photodynamic rejuvenation on the Central Coast. He employs a specialized protocol which includes enhancing the penetration of the Levulan (ALA) and activation with a series of lasers. Typically in addition to Intense Pulsed Light Using the Lumenis Lume 1 device as well as Low Level Laser Light (LLLL) in order to maximize results. 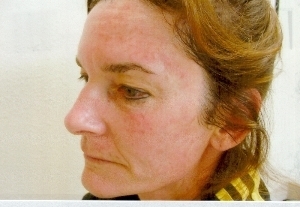 Afterwords Dr. Dannaker prescribes a topical that will continue the improvement for years to come and minimize future development of skin cancer or pre-cancer.Patients with significant sun damage and pre-cancers no longer have to resort to a month of painful and red skin from topical chemotherapeutic creams. Photodynamic Therapy takes only a few days to recover and skin benefits go far beyond removal of pre cancers (actinic keratoses). Substantial improvement in skin texture, pigmentation and fine lines is typical. Dr. Dannaker has performed PDT for over a decade. A combination of lasers, LED light sources and light chemical peeling is combined to enhance your results when compared to conventional simply PDT using blue light. Dr. Dannaker also uses a specific regiment of post PDT treatment that ensures the maximal reduction of pre-cancerous skin changes as well as maximizing the cosmetic benefits of the procedure. Recently, PDT has been improved with options such as daylight PDT and "no pain" PDT which is faster and just as effective as the older PDT methods. *Patients treated with Levulan PDT should avoid exposure of the photosensitized lesions to sunlight or prolonged or intense light for at least 36 hours.